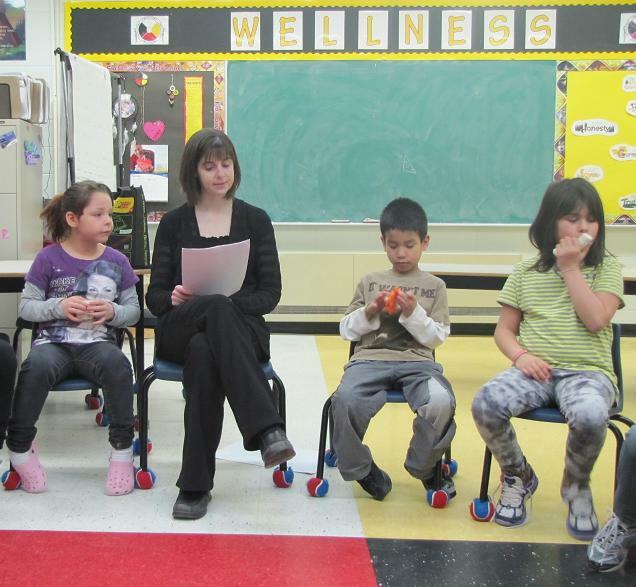 Healthy snacks – including fruit and vegetables – are core to the curriculum at Elsipogtog First Nation. We’re travelling through the bush in New Brunswick to visit Elsipogtog First Nation – where an innovative community garden project is growing skills and knowledge about good nutrition among the children, educators and parents in this First Nations community on the banks of the Miramichi River. The CFTC team is very impressed with this long-term partner’s commitment to and enthusiasm for nutrition education. 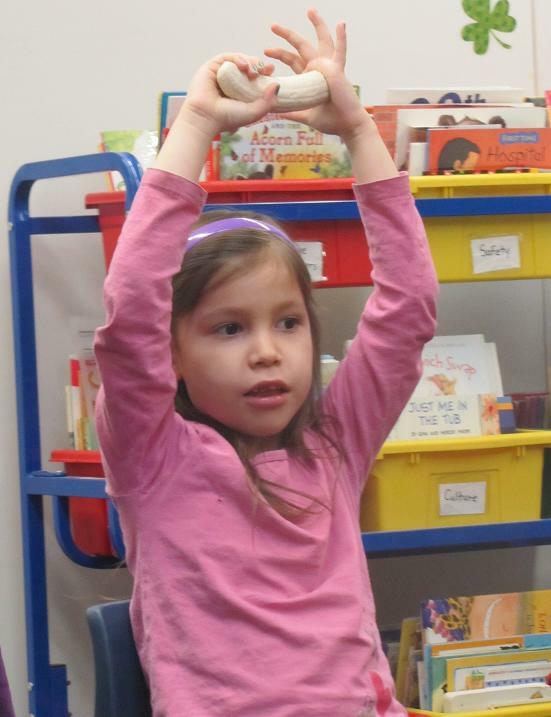 Engagement is high, which bodes well for positive outcomes for the health status of children in this Mi’kmaq community, as this post from Genevieve Drouin, CFTC’s Regional Program Manager- Americas, attests! Learning good nutrition starts young and starts in the classroom at Elsipogtog School. Elsipogtog First Nation, May 7, 2013–After more than six hours driving through rural New Brunswick yesterday, it feels like a break to have only a three-hour return trip today from the town of Miramichi to Elsipogtog First Nation. The long drives through dense bush and one moose sighting a day so far make me want to sing “Oh Canada” at the top of my lungs, but I spare my travel companion. On our arrival at Elsipogtog First Nation School, we are greeted by the community nutritionist, the health and wellness teacher, a special projects staff helping to coordinate school gardening activities, and the school principal. We are here on a monitoring visit to see how the school nutrition program and gardening project are evolving, and what we find is impressive! Good food! CFTC continues to support in-school breakfast and lunch programs here at Elsipogtog First Nation. After almost six years of partnership on Elsipogtog’s school nutrition program, CFTC has provided additional support this year in collaboration with the Nutrients for Life Foundation to enhance an existing school garden project. The school started a learning garden two years ago and although it was well tended, with limited resources the garden was kept small. In a population and community with higher-than-average obesity and diabetes rates, school and health centre staffs were convinced that with an injection of resources, the garden could have a much greater impact on the students, their parents, and the broader community, teaching people about nutrition, healthy eating and how to grow their own food. These funds will also allow the school to start a composting program that will help nourish the garden. As planting season nears, the excitement around expanding this initiative is evident. 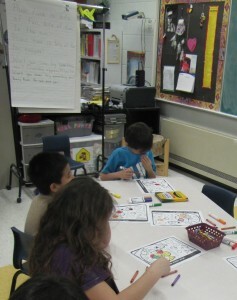 The students will soon start planting seeds in their classrooms in preparation for the outdoor plant. Every student in the school will be responsible for their own seedling and when it comes time, they will place it in the ground themselves and watch it grow. 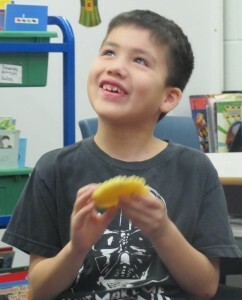 Classroom learning about nutrition is grounded in culturally-appropriate methods and customs and extends beyond it, as the fall harvest feast demonstrates. The garden is built in the form of a medicine wheel to reinforce the traditional Mi’kmaq teachings around the passage of the sun and the seasons. On Aboriginal Day, June 21, the garden will be blessed by Elders, who will also help care for the garden during the summer months. The produce will be used to supplement the school breakfast and lunch program whenever possible and distributed to high-risk families in the community. Two years ago, the community started the tradition of holding a fall harvest feast, where produce from the garden is served and honoured. The school children are responsible for preparing the meal and serving the Elders–a task, we are told, they take quite seriously and carry out with much pride! In turn, the children gain a deeper understanding and appreciation for the value of the fresh, healthy food they have helped to grow. The hope is that these children will carry these experiences and lessons forward as they gain more responsibility for their own food choices and those of their future families, contributing to a healthier more vibrant community!